I Ended Up Avoiding Two Films Based On My Childhood For Shallow Reasons? I thought maybe it's for the best I skipped two movies altogether. One is Disney's Beauty and the Beast and the other is the Power Rangers film by Lionsgate. I even wonder what were Toei and Saban thinking? Some of Toei's producers together with Haim Saban showed up during the premiere but I could care less. So I'll talk about how I felt my childhood was "ruined" this 2017. 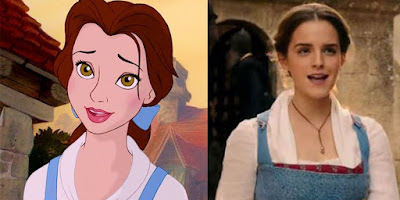 I hate to admit it but just looking at how Emma Watson was cast as Belle didn't appeal to me to start with. She's not as hot as the original character. While a real life Belle doesn't have to be as hot but I just didn't like Watson getting cast as Belle. Sure, the script features a different side of Belle as an inventor but I've had a hostile relationship with Disney like how they handled Power Rangers now they are screwing up Star Wars and Marvel Comics. I'm probably just having a severe case of hostility with Disney right now. Amy Jo Johnson interviewed the new cast, appeared in the premiere night and made a cameo but I don't think that's enough to convince me to watch the movie. 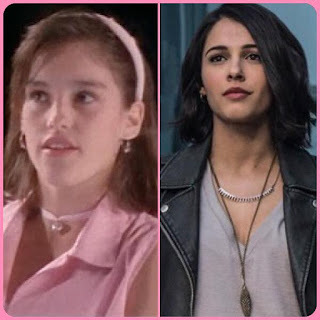 I guess one really dumb reason of mine is that Naomi Scott is nowhere near as hot as Johnson in her prime. I saw some of her pictures at the premiere night and Johnson is still looking pretty for a woman in her late 40s. I don't find Scott in her prime to be as pretty as Johnson who's already in her 40s. On the other hand, I think the way Kimberly got portrayed in the film to be someone who got involved in a cyberbullying to be anything but her. Sorry but I can't just swallow that alternate version of Kimberly as much as I can't swallow that Dougie Boy did to her in Power Rangers Zeo.